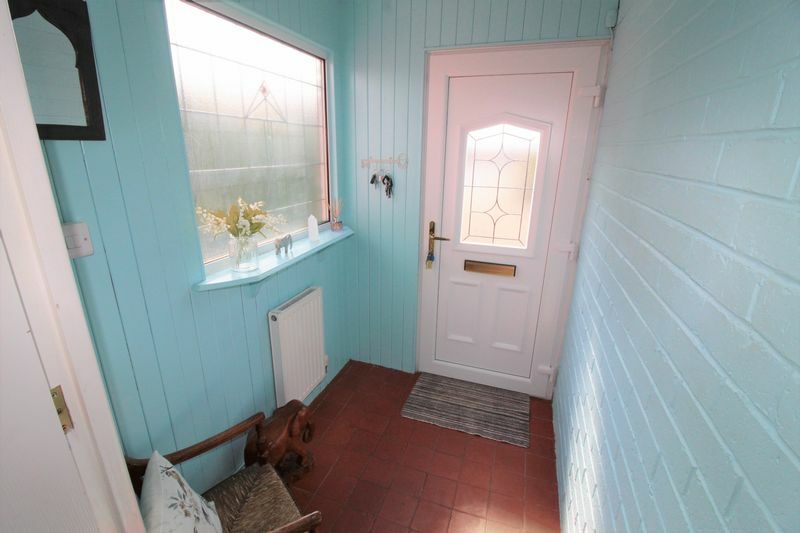 With quarry tiled flooring, radiator, uPVC external door, stained glass window, wall lighting and wooden framed internal door to hallway. 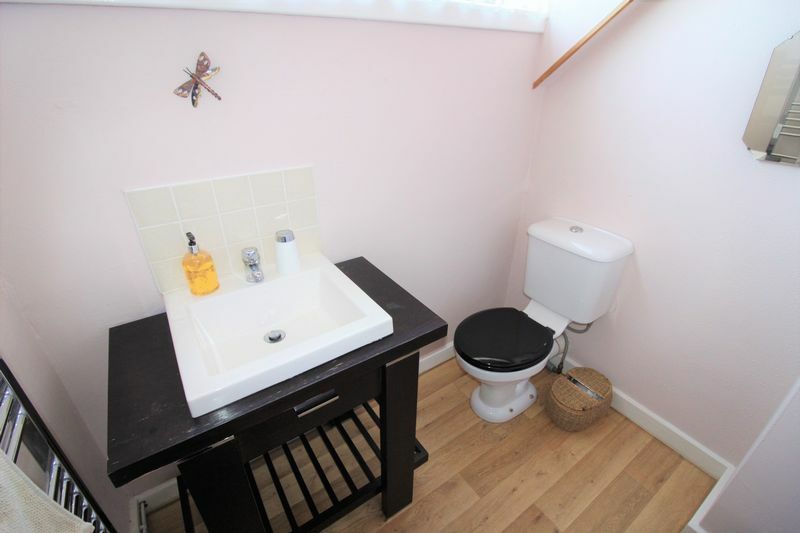 With feature parquet wood flooring, radiator, 2 x ceiling light points, power points, ceiling skylight and built in storage cupboards under the stairs. 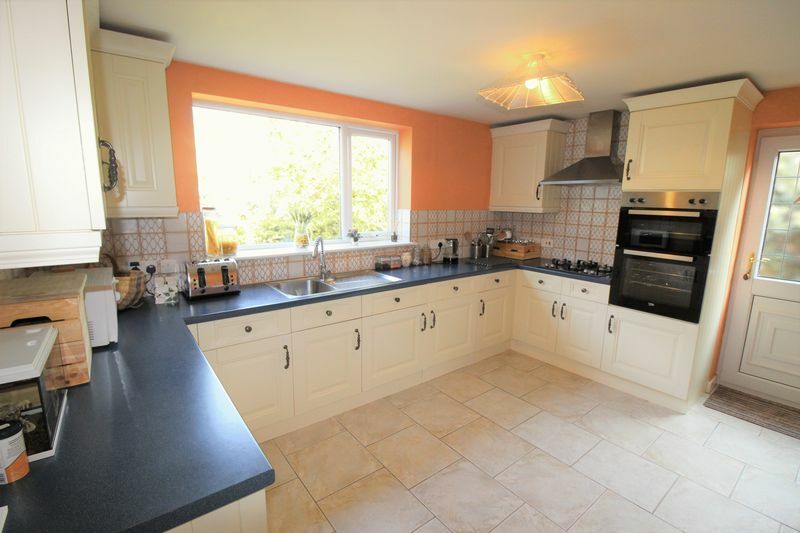 The kitchen comprises a range of fitted wall and base units with laminate worktop and including integrated appliances such as plumbing for washing machine, 4 ring Hotpoint Gas hob with extractor hood above and double Beko fan oven. 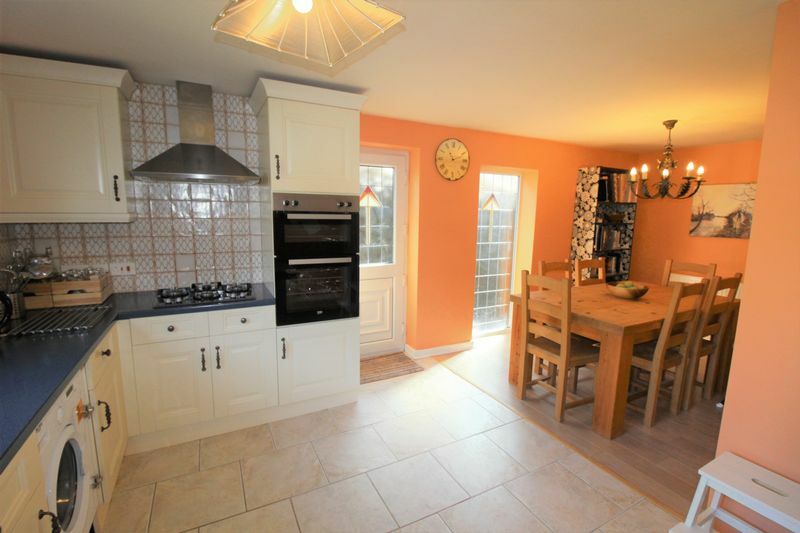 There is tiled flooring, double-glazed window, power points, ceiling light fitting, part-tiled walls and stainless steel sink unit with drainer. 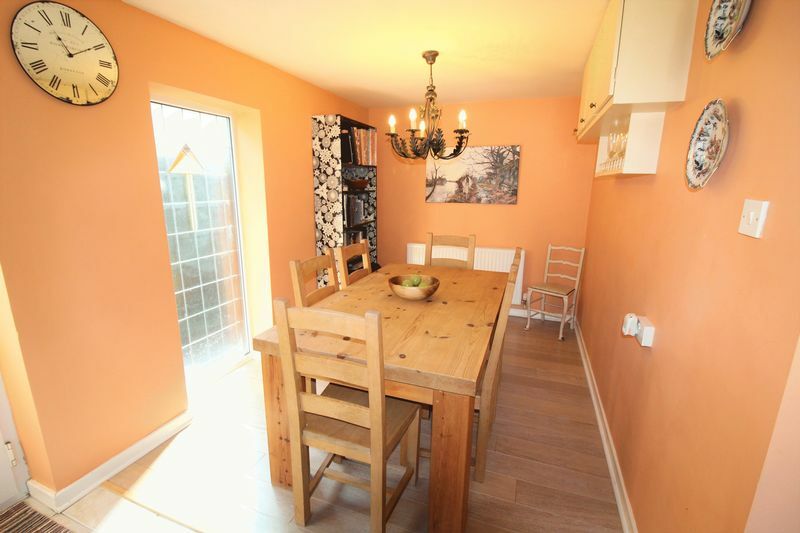 The dining room has laminate flooring, power points, ceiling light fitting, radiator, uPVC door to side and feature stained glass window. 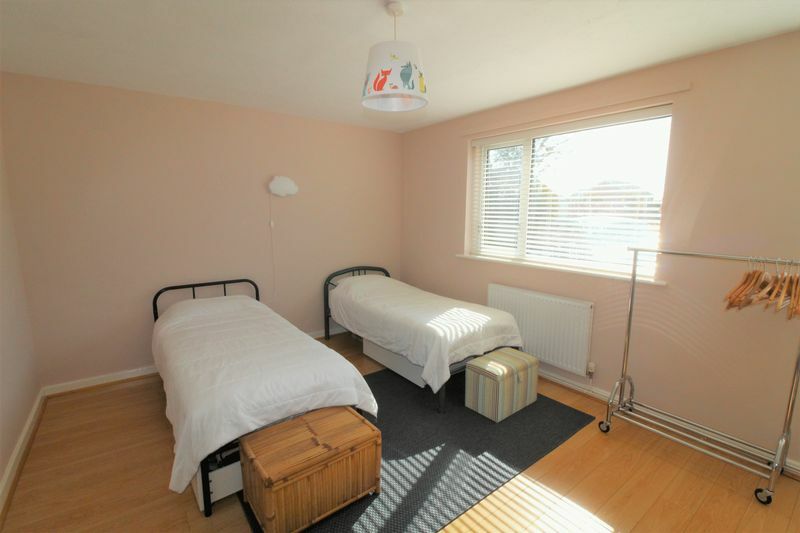 With parquet wood flooring, double-glazed window, power points, TV aerial, radiator and 2 x ceiling light points. 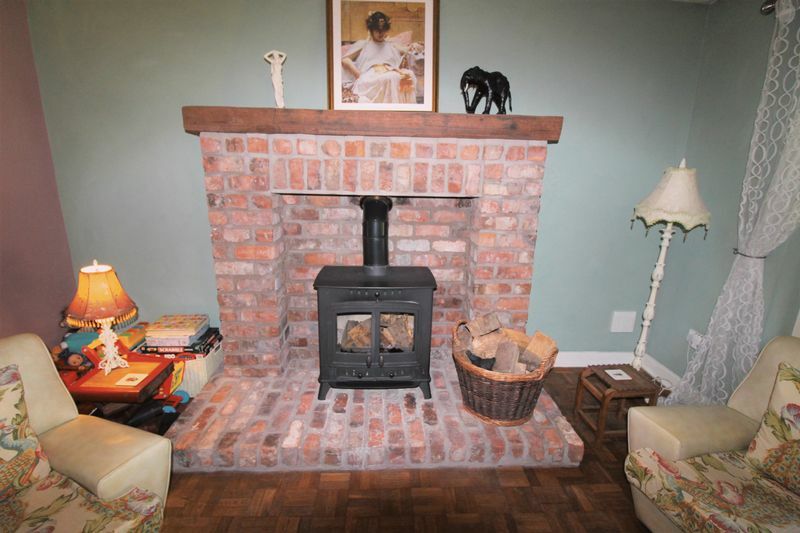 Feature log burner with brick hearth, surround and wooden mantle. Sliding double-glazed doors to conservatory. 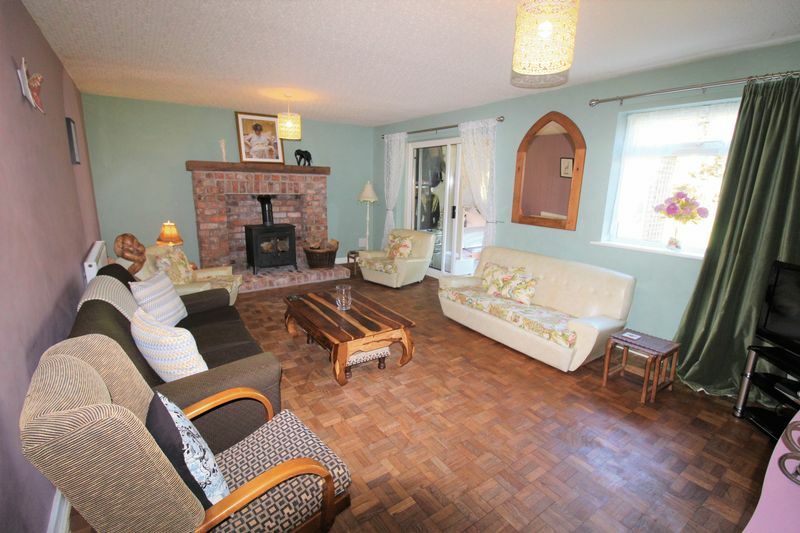 With tiled flooring, radiator, double-glazed window, power points, TV aerial, ceiling lighting and sliding doors leading out to the enclosed rear garden. 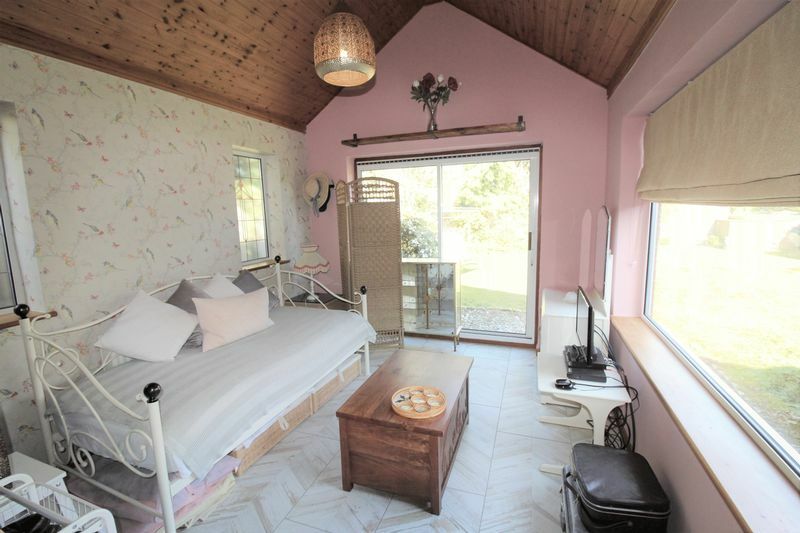 Located on the ground floor, the room comprises 2 x double-glazed windows, 2 x radiators,. 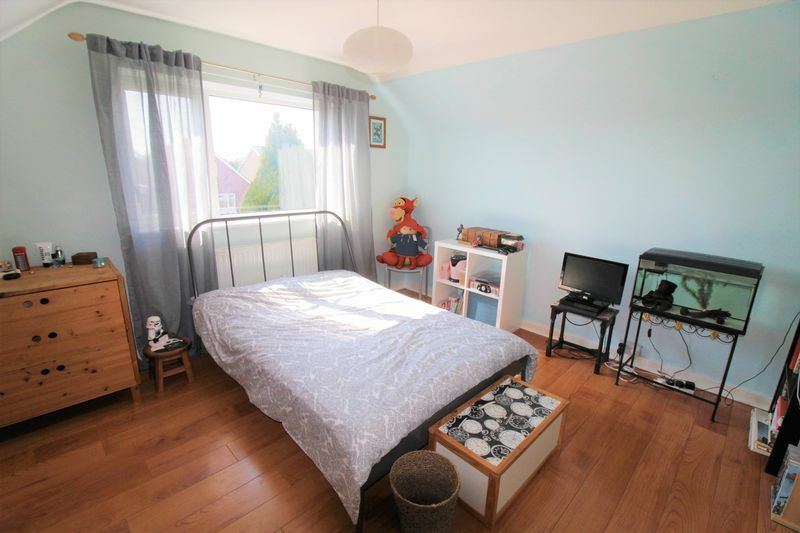 power points, 2 x ceiling light fittings and laminate flooring. 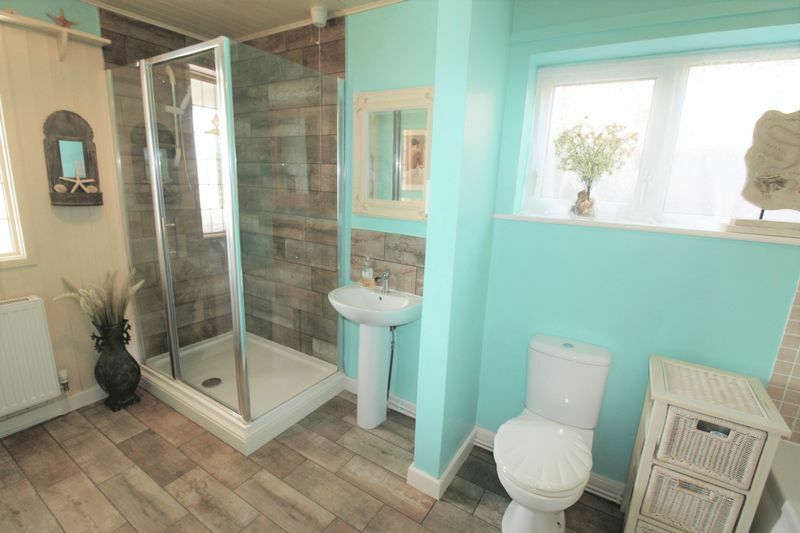 Fitted with a four piece white family bathroom suite which includes: low-level w/c, pedestal wash hand basin , panelled bath and fully tiled double shower enclosure with Triton electric shower unit. 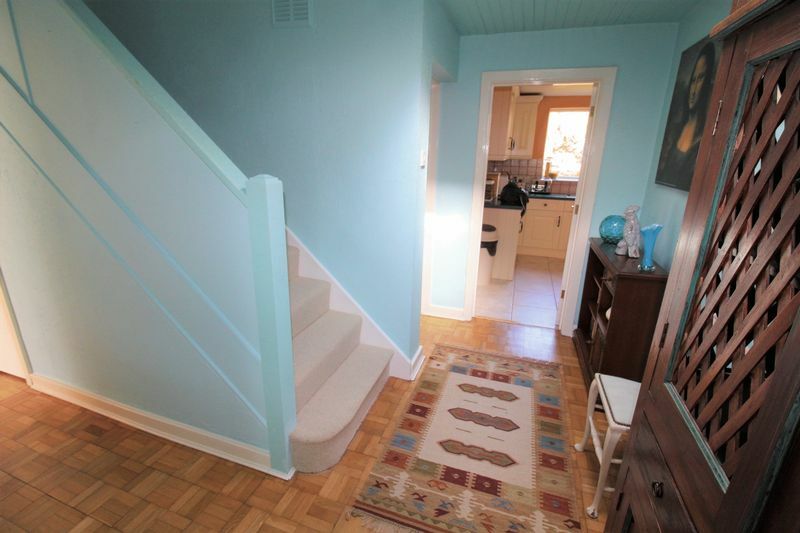 There is tiled flooring, part-tiled walls, radiator and heated towel rail. 2 x ceiling light fittings and double-glazed window and feature stained glass window. With smoke detector, ceiling lighting and feature stained glass window. 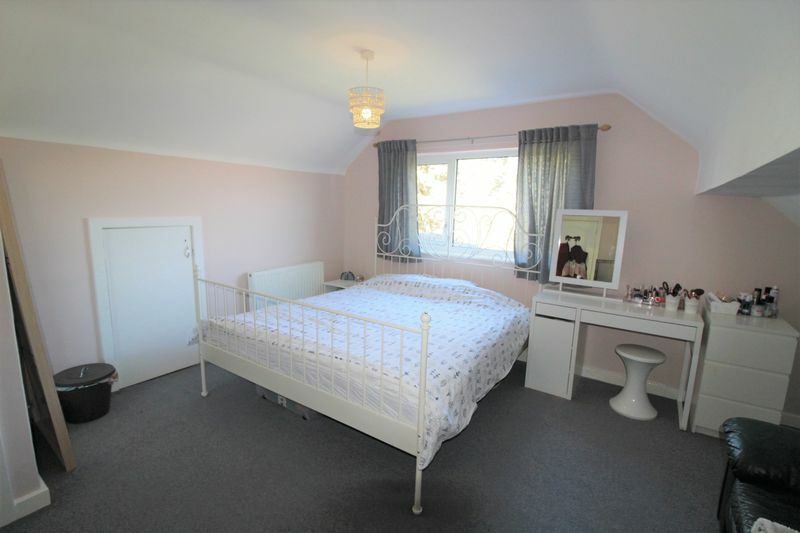 With fitted carpet, double-glazed window, radiator, ceiling lighting, power points, built in storage cupboard and storage in the eaves. 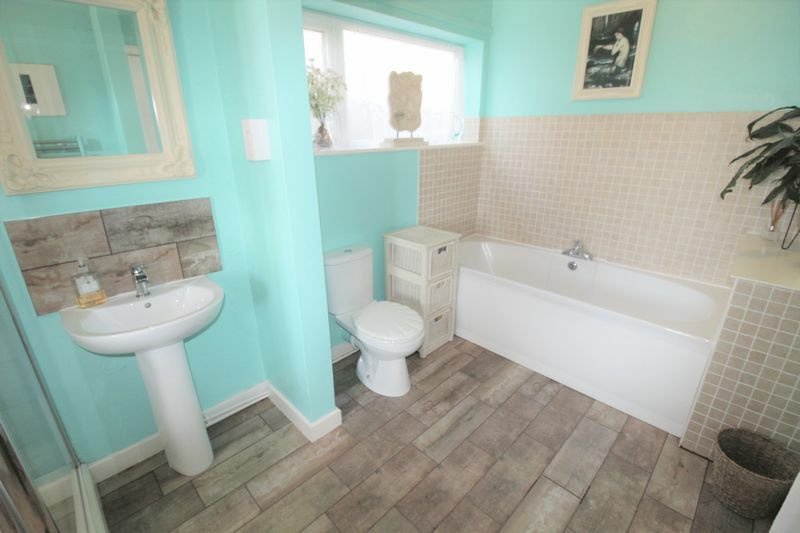 With low-level w/c, wash hand basin set on vanity unit, single-glazed window, heated towel rail, ceiling lighting and vinyl flooring. 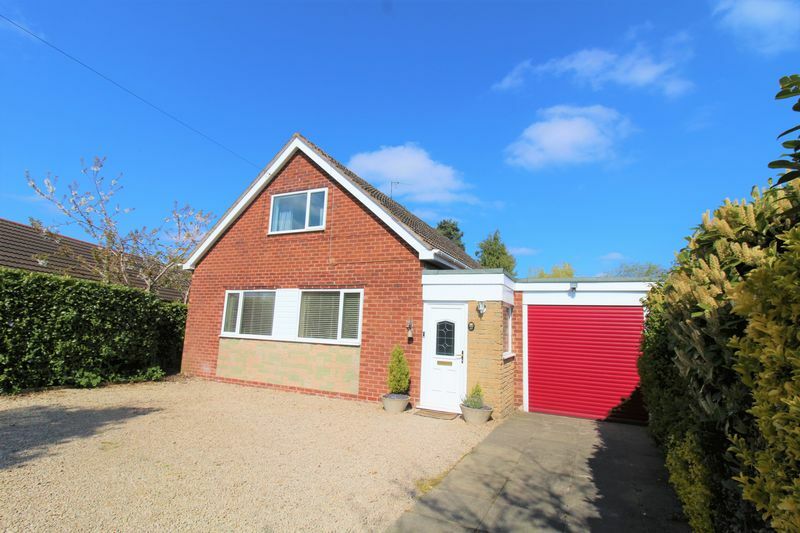 To the front of the property there us a paved and gravelled driveway offering ample off-road parking space leading to the attached garage (housing Gas central heating boiler). Outdoor lighting and hedged boundaries. 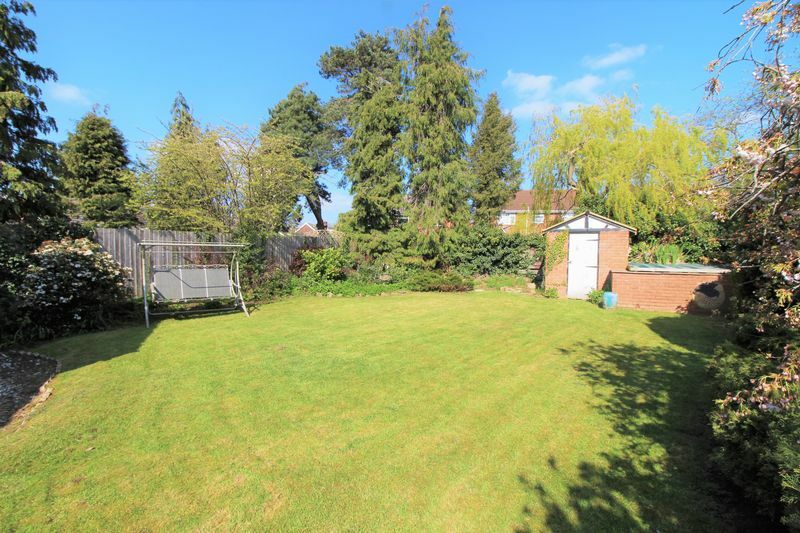 To the rear of the property there is an enclosed garden with lawn and gravelled area. 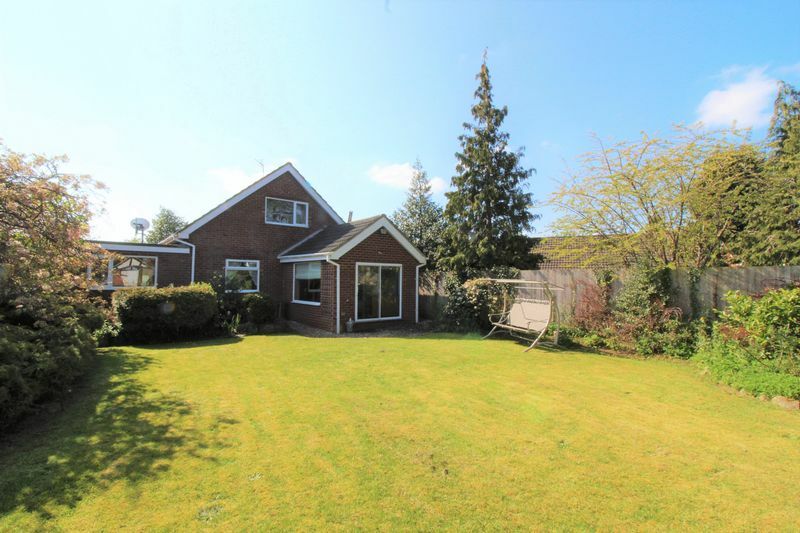 Garden shed, a range of fenced and hedged boundaries, shrub and hedged border and outdoor tap. Leave Wrexham on the A483 dual carriageway in the direction of Chester leaving at the first exit and at the roundabout (Gresford) take the fourth exit signposted Gresford. Pass the Beeches Public House eventually arriving in the centre of Gresford Village and at the traffic lights continue straight ahead continuing until the Gresford Methodist Church and turn right into Claypit Lane and thereafter the second right into Meadows View. The property will be observed on the left hand side.